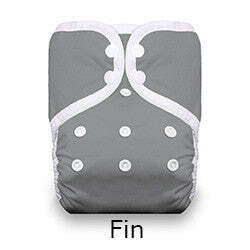 Thirsties Pocket Diaper with Stay-Dry pocket in snap closures. Made in USA. One-size fits most. Best at 4 months and up. 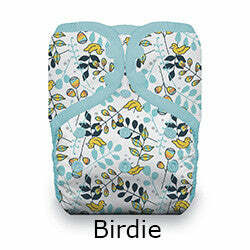 Order 6 or more total of any closure of any kind of Thirsties Pockets and save 5%. Add them to your cart to see the savings in your cart. Foxy, Set Sail, and Flutter By are limited edition. Leap and Toucan stocked on March 28th at 11:00 am EST. Note from Karen: You can replace the microfiber insert with anything cotton if you choose to do that. Don't put microfiber next to skin. Use it only inside the pocket if you choose to use it. Microfiber is not the same thing as microfleece. The fleece is the stay-dry fabric and that does go next to baby's skin. Microfleece is lovely and soft and keeps skin dry. 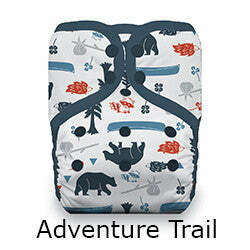 See this on a baby. I love the fox diaper and really appreciate the upright fox bum placement. Order arrived super quick too! Our 4 month old slept 9 hours straight last night. I’ve been reading a lot of these reviews for ideas on what combinations to use. For night time, I pan fold a small prefold, layering a hemp doubler on top, placed inside the pocket. Keeps her dry and we were able to transition her from bassinet in our room to the nursery crib this week. Great product!! 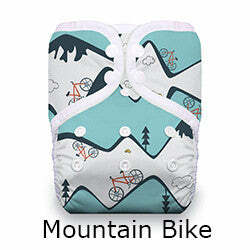 Well made and comfortable & dry on baby. 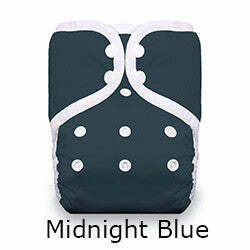 These reviews have been great in learning cloth diapering methods. Thank you to all those who have taken the time to share. Great shipping with a lovely personalized note on the invoice for an online request. Pocket material is soft and I look forward to putting it on! Very absorbent and keep my baby dry. If I was starting all over again these are the ones I would buy. Love that you don't have to pull out stuff to wash. Trim thru the legs, soft staydry, two snaps, adorable prints, and double leg gussets. Only dislike is price, which means I will wait for sales.